It was an electric day in Detroit for those passing through Cobo Hall at a NAACP celebration dinner in April of 1995. Rosa Parks and her niece, Urana McCauley, had come for the event following the death of McCauley’s grandmother. At just 19 years old, McCauley was in awe. The black political elite of the decade filled the room. John Conyers walked the hall. Kweisi Mfume, the organization’s sitting president, gave a fiery speech, inspiring the crowd. It was a happy reprieve from the darkness surrounding death—a spectacle of black joy. But McCauley hadn’t come to an important realization yet. Her aunt was as important as any black leader present. McCauley would soon uncover the real story of Rosa Parks: a more complicated journey than is usually told. In doing so, McCauley was forced to confront the lingering prevalence of the issues Parks fought more than six decades ago—injustices that remain to this day. McCauley’s revelation of the real, nuanced version of her aunt’s story began to take shape that day in Detroit in 1995. When she and her aunt finally left the hall and sat in a golf cart arranged for their travel, a passing black family stopped Parks, screaming at the top of their lungs: “That’s Rosa Parks!” Teenage Urana was bewildered. By that point Parks was just her “Auntie Rosa,” a steely-haired woman, aged by decades working for the average black person, and slowly fading from medical issues. McCauley’s epiphany was setting in. “She was like Michael Jackson. She was a superstar. I sat back and said, ‘Oh My God. Wait a minute. 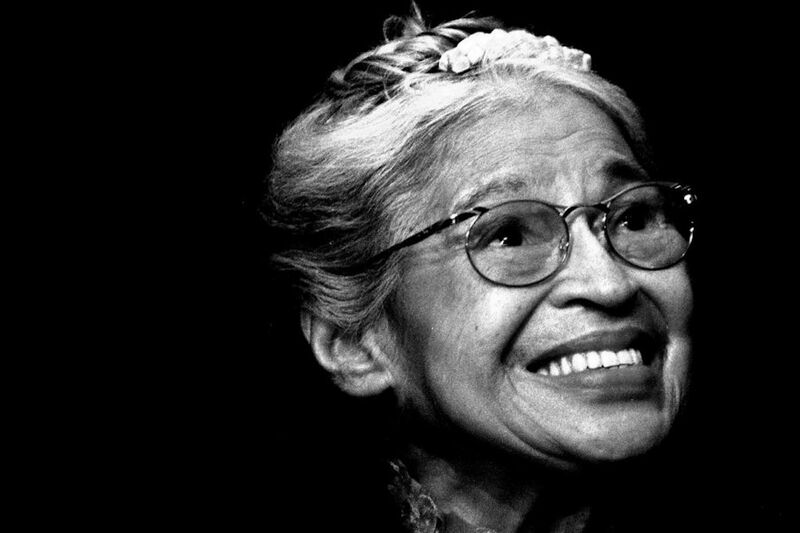 I’m related to Rosa Parks,’” McCauley, now 41, recalls from her home outside of Detroit. Before that moment, she hadn’t considered much of Parks’ long history.